An Australian priest from a country town could soon become a Hollywood sensation after US film producers bought the rights to his new book. Such is his appeal, industry experts IMDb have linked superstars Ryan Gosling, Roberto Beniagni and opera singer Andrea Bocelli as potential collaborators of the film. 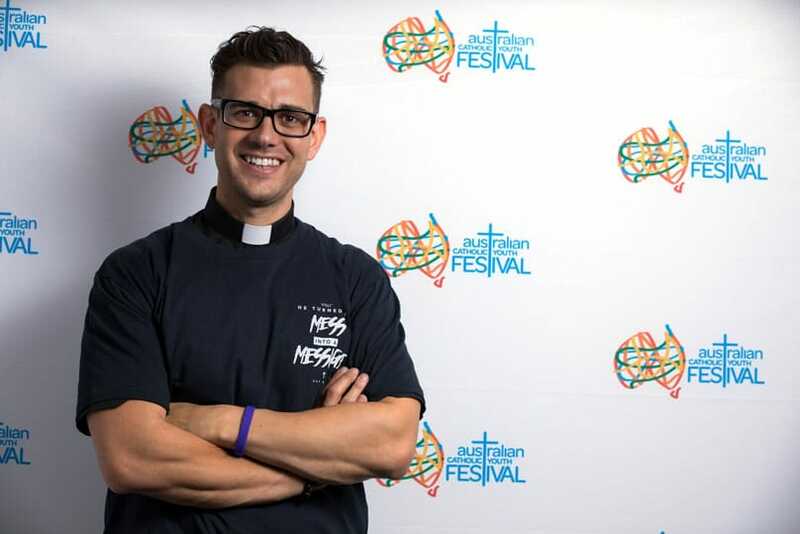 For Fr Rob Galea, who is currently serving St Killian’s Parish, in Bendigo, Victoria, his meteoric rise to fame is something he is struggling to come to terms with but says “he will do whatever it takes to shout God’s fame”. In just seven years the charismatic priest has released six albums, appeared on Australian X Factor, performed three world tours, written a book and sold his story called Breakthrough, which details his struggle with addiction, suicidal thoughts and depression through his discovery of the Lord, his time in the seminary and now as a priest in a small rural community. Fr Rob stresses he is a priest first and foremost and the potential film – like some of his other pursuits – are simply a “by-product of his relationship with God”. “This has all just happened so quickly, sometimes I can’t believe how far I have come,” he said. “I wrote the book to show the world redemption is possible, it’s about recovery and faith and serves to remind us all that anything is possible. “Having some of the biggest names in the industry linked to the project is beyond flattering but if I had the choice I think I’d like to be portrayed by Mark Wahlberg. “He’s a man of faith, sincere and obviously looks after himself. “Having someone like him who is a devout Catholic and a strong family man would be terrific.” Things have certainly come a long way for the Maltese-born priest who arrived on Australian shores for his 4th year sabbatical from the seminary and decided to stay. During his time studying for the priesthood, he dedicated a song to a young, dying friend which became an unexpected European hit and his music career took off. He was ordained in 2010 and decided to use his music to spread the word of God to the younger generation in his parish. “Young people aren’t coming to church, so I live my life trying to bring the church to them,” he said. “It’s a simple approach which seems to be working and comes from a disciplined routine instilled in my heart from my time in the seminary. This year is looking like another busy time for Fr Rob, he is preparing to head overseas to launch his book in Canada and the US before spending a month studying in Chicago and then embarking on a 30-day silent retreat in Pennsylvania. “I have a demanding schedule and I need to take some time out and discern my ministry and my relationship with God,” he said.